Campus Outreach: hosts events with other student groups and the general student body as a whole to demonstrate the importance of Neuroscience. These events will take place in a variety of ways, including firesides and informal meetings. Curriculum Committee: works with administrators of Northwestern University as a student voice in the formation of an undergraduate Neuroscience major. Journal Committee: meets monthly to discuss papers relevant to members’ interests or neuroscience in popular culture. Speaker Committee: brings in (at least one) speaker from the field of Neuroscience per quarter. Public Relations Committee: publicizes club events and helps recruit committed members who are willing to contribute to the organization. 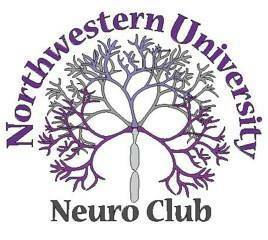 Neuro Club is open to any student who wishes to join. Organizes neuroscience-based service events for the Chicago-area community. Junior neuroscience major from Warren, New Jersey. Manages website, publicizes events and helps with recruiting new members.